Poster for Town Cutler by designer/illustrator Craig Frazier. See more of his work over here at www.craigfrazier.com. Town Cutler is a top of the line artisan knife and cutlery shop in San Francisco. 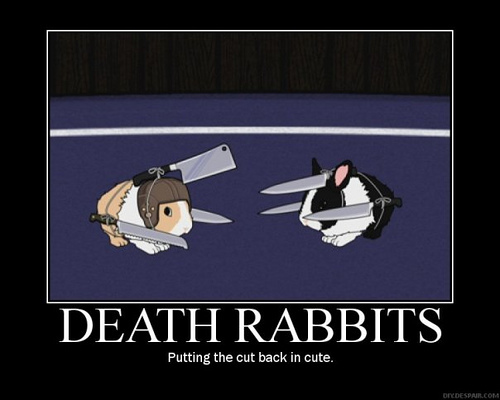 I’m not sure what this poster represents, but I couldn’t help but think of these death rabbits. Equal parts badass and adorbs. That is damn hot! Those death rabbits are excellent. “Putting the back into cute”… too good. Quite morbid. Can’t wait for Tofu Tuesday.